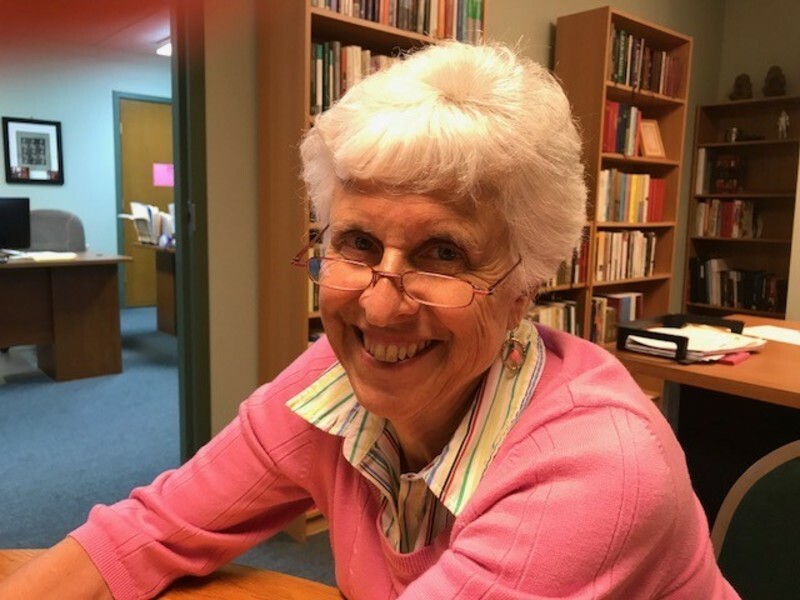 Linda coordinates the Educational Ministries of Faith Church and is directly involved in teaching a Mid-week Bible Study, leading a Small Group and creating and leading our Intergenerational Sunday School ministry. Linda is a graduate of Westminster College with degrees in Elementary Education and Christian Education and has an M.A. from Pittsburgh Theological Seminary. She has served churches in Pittsburgh and Washington County and also worked for a time as an Environmental Educator and as a Guardian ad Litem in the juvenile court system. She loves to bicycle, read and knit. You can join her at Faith at Bible Study or in our monthly Book Group or creating prayer shawls, baby hats or lots more at Faith Knitwits! Linda met her husband Bill when they served together as Volunteers in Mission on the Navajo Indian Reservation. They have three adult children, Sarah (Jeff), Rachel (Mads) and Matt (MaryJoanna) and two grandchildren, Margrette Jean and William.